On an early Tuesday evening in the town of Adidome, I scan the fabric stalls on a designated market day. I know one of the wholesalers at the back of the marketplace by name, and she knows I’ll usually ask for tie dye. On the same evening, I visit my aunt at her home and watch on the side as her son stirs banku, a meal made of fermented corn, in the family compound’s outdoor space. Sensing that I want to learn how to prepare it, my young cousin offers to teach me so that I’m able. Later in the week, I call up a town elder who tells me that although he’s traveling, I’m welcome to visit the large garden expanse on his property. There, on most days, the gate is open for neighbors to pass through and linger, enjoying shade provided by the trees. 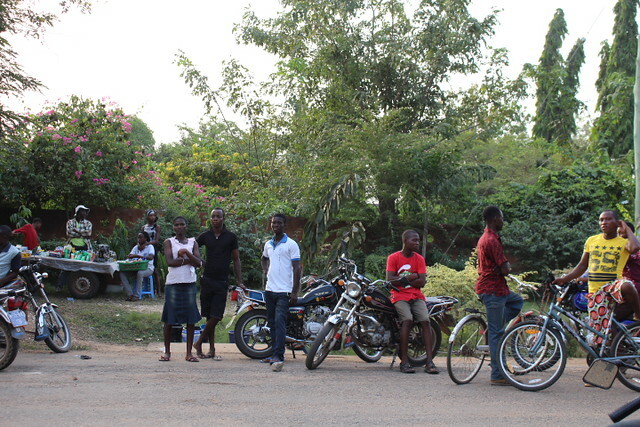 It is interpersonal relationships between family networks and community members like these that shape a sense of place in this small rural town and throughout Ghana’s Volta Region. Here in the Volta Region, the idea that there is always more than one side to a place, couldn’t be truer. Eighteen districts make up the territory and from the smaller towns like Adidome to the denser urban areas like Ho, the region’s capital, there are complex relationships between the different populations that have much to do with ancestry and clan. This aspect of lineage often determines how land is inherited, and used for both production and consumption. All across the region, the direct relationships people have to land is apparent. This is a place recognized for the presence of carpenters, artisans involved in textiles, tilers, and stone cutters – trades that depend on locally-sourced, natural materials. Overwhelmingly though, the landscape makes agriculture the major economic activity here. Even as the region’s population of over 2 million continues to grow steadily, 3 out of 10 people live in urbanized places while the majority 66% live in rural areas. The terrain of the Volta Region is multi-layered, consisting of all of Ghana’s vegetation zones that spans vertically from North to South. Coupled with its tropical climate, the land is ideal for growing a range of crops. Once Ghana gained independence in 1957, a British controlled swath of land formerly known as Trans-Volta Togoland, was merged into the country. This area officially became the Volta Region. 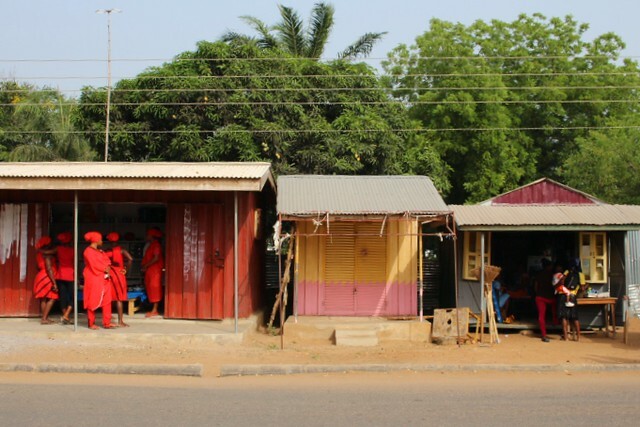 Since then, this place has become known as a microcosm of Ghana – a mixture of topographies, population densities, ethnic backgrounds and trades – and has resulted in creating its distinctive genius loci. Being an aspiring landscape architect, the ecological complexities of this region drew me here. My attraction to this place had everything to do with the ease of the relationships between people and with the natural landscape. Examples of this abound: relationships between marketplace wholesalers, farmers and artisans; the willingness of community members to open up their land to the general public; and the linking of access to land to systems of familial inheritance, lineage and ancestry. I wanted this close proximity to ancestry and physical geography in a rural context, to help guide my understanding of how place always matters. And, I wanted this place to help spark new ideas for adaptive, experiential, and human-scaled landscape design. 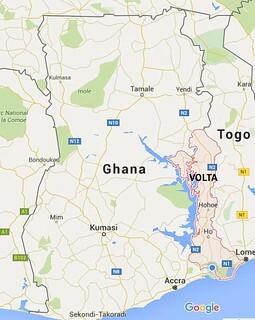 As in any place, changes in the Volta Region’s landscapes are inevitable. In most spaces, the terrain is largely unplanned or informal. The overall literacy rate hovers at 48%, and across all districts, more women than men are unemployed. Clearly, large-scale educational, infrastructural and economic initiatives– better schools, and additional areas designated for production and commerce– are necessary for the Region to thrive. Identifying where the limited but valuable infrastructure exists, unpacking the direct dependency on land and tracing strong social networks, can provide insights into how landscape design might be useful in strengthening these existing connections. This is a pivotal vantage point to start ‘seeing’ place from and to imagine a sustainable future for the Region. 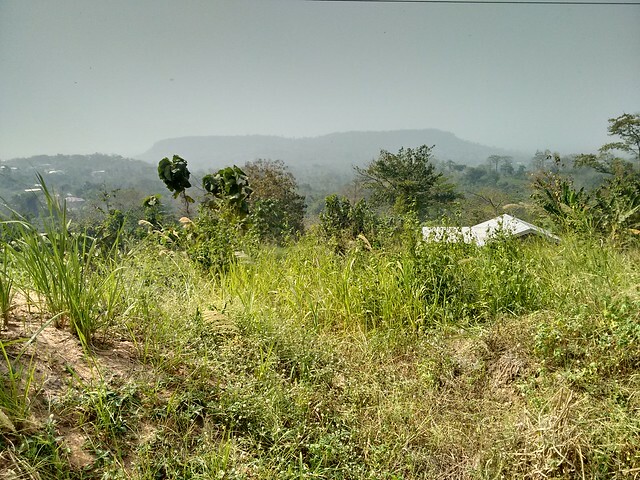 In this series, ‘Genius Loci of Ghana’s Volta Region: Seeing Place,’ I’ll share brief “snapshots” of some of the region’s sites and cultural features that reflect the relationships between people and land. Using a design lens, I’ll explore how landscape architecture may strengthen the existing connections that have already created a unique sense of place here.